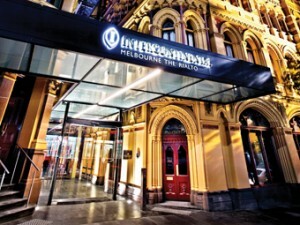 Increased automation, if done well – like at the InterContinental Melbourne The Rialto – can free up resources for facility managers and provide information that improves decision-making. HARTLEY HENDERSON discusses the ins and outs of automation, and reveals the secrets to achieving optimal automation. The complexity of modern buildings is increasing significantly, largely in response to an escalating push for better environmental, economic and people performance. At the centre of this development is the growing sophistication of integrated building automation systems designed to control a wide range of services, which in turn can create a number of challenges. In 2010, Dr Gerard Healey, an Arup building services engineer based in Melbourne, undertook an international study tour to look at integrated systems and controls where performance can depend on the need for coordination between multiple disciplines. The tour was sponsored by the International Specialised Skills Institute and the Construction and Property Services Industry Skills Council. Healey discovered that disciplines and trades do not necessarily share a common understanding of controls in a building and that this can be a challenge when integrating the performance of systems across disciplines and across project phases. In Australia, Healey found that there is little formal training provided on how various services within a building can be integrated, and the positive or negative impacts that they can have on each other. He also found that there are no established methods for evaluating options (including the appropriate balance between automatic and manual controls) between design disciplines. Other findings were that there is no established method for optimising performance across multiple services, and that there is limited understanding of the practical issues in the installation, commissioning, operation and maintenance of integrated control systems. "Complex control systems can be relatively easily conceptualised; however, their effectiveness depends on how well they can be constructed, commissioned, tuned and maintained," Healey says. 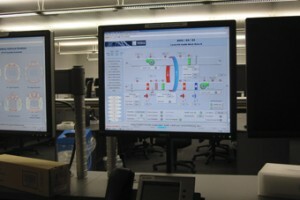 He notes that it is increasingly possible to control buildings from a single entry point (single computer interface); however, this is generally not achieved in a plug-and-play manner across different services – for example heating, ventilation and cooling (HVAC); lighting; sub-metering; fire and security – unless you have either a technology supplier providing controls for all these services or well-coordinated and implemented specifications that require common protocols. "There are a variety of ways that different services (or, more specifically, design disciplines) within a building can be integrated," says Healey. "The negative impact that I saw most often on my study tour was the potential for increased complexity and consequent risk of the integrated systems being poorly implemented or difficult to operate and maintain. "Designers and technology suppliers are typically delivering more complex buildings as a result of trying to achieve high environmental performance, such as Green Star and NABERs. This can create significant risks that the systems either won't be installed correctly, won't operate as intended or are difficult to understand and maintain," he adds. Complex control systems can be relatively easily conceptualised; however, their effectiveness depends on how well they can be constructed, commissioned, tuned and maintained. Lynden Clark, building automation and energy efficiency manager for Siemens Australia, says that today, the latest building management systems are highly intelligent and enable facility managers to monitor and control all aspects of their building environment from a central workstation. "It is common for building automation systems to integrate into multiple building services including utility metering, electrical, fire, security, hydraulics, lighting and more to drive operational efficiency and optimise energy consumption," he notes. Clark says that intelligent control algorithms optimise the way building services are controlled, and that this can significantly reduce a building's cost and environmental footprint, while maintaining occupants' comfort levels. Healey believes that the potential advantages for increased automation in buildings, if done well, are that it frees up resources for the facility manager and provides information that improves decision-making. Clark admits that integration can be costly and notes that unless a specific integration is going to automate a process that leads to a measurable improvement to safety, risk, maintenance or energy efficiency, for example, it can be hard to justify the upfront investment. He notes, however, "As smart grids develop in our cities, building automation systems will play a key role in demand management. During peak periods, licensed power generators will have the ability to communicate with building automation systems to engage advanced load shedding sequences and curtail demand. In return, building owners will receive incentive payments for freeing up capacity." Concerning the challenges involved, Healey says, "The most significant challenges in my opinion are not the technical or technological ones, but the human ones. New and complex systems carry with them risks of being poorly designed, installed, operated and maintained because people do not understand them properly." He adds that there is also a tendency for people to underestimate the impact that technology will have on their practices, or the training that is required to take full advantage of it. In addition, he says complacency can also be a risk because a new technology may not solve problems caused by poor record keeping. "For example, a building information model (BIM) of a facility requires the facility manager to know how to use it, and it has to be kept up-to-date to be useful, just like as-built drawings and O&M manuals do," he notes. Clark says that integrating systems from different manufacturers can be a very complex issue, hence why multi-vendor systems are few and far between in Australia. "I believe the main issue is the way in which individual vendors implement the protocol standards. For example, if two vendors choose to implement BACnet trending services in a different manner, common use of trend data may not be possible. Therefore, complex functions such as trending, alarming and time scheduling may not be fully compatible between vendors and must be bench tested pre-installation. "In relation to installation and commissioning of systems, the biggest issue we face is time," notes Clark. "Builders are often under enormous pressure to complete construction, so that a building can be handed over to the client. The building automation contractor is often one of the last trades to finish, given that a building automation system cannot be properly commissioned until the mechanical systems are operational and the building is occupied." He says that metering is another issue. 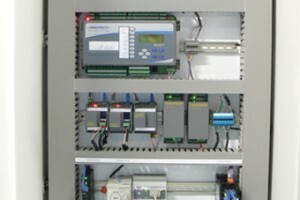 "The building automation system is often required to integrate a range of different sub-meters that may have been supplied and installed by several different vendors, which can lead to a range of integration issues. It is critical that a clear and consistent sub-metering strategy is developed early in the building's design phase with all key stakeholders," says Clark. Dr Gerard Healey, Arup building services engineer, believes that the most significant challenges are not the technical or technological ones, but the human ones. Healey says there are some qualitative methods for trying to find a balance between automatic and manual system controls, but suggests that ultimately it is about having a structured discussion with the people who will actually be using the systems. "Mixed-mode ventilation, in other words, buildings that have both natural and mechanical ventilation, is a good example of where a balance between automation and manual control needs to be found. Lighting is another service where a balance between automated, for example motion sensors, and manual systems needs to be considered carefully," he concludes. The automation of InterContinental Melbourne The Rialto took into account the overall impact it would have on all the systems in the building, as well as the building's users. In 2009, Cortrols undertook a key role in the building services upgrade of InterContinental Melbourne The Rialto, an iconic building that was first completed in 1891 and retrofitted to modern energy efficient standards for the InterContinental Hotel Group (IHG). Craig Waldron, managing director of Cortrols, says the company provided an Innotech Control System that consists of two key elements: a building management system (BMS) to control and monitor all major plant and services, and a custom-designed control solution for the 260 guest suites. "The BMS controls all of the front and back of house air-handling units, ventilation fans, central chilled water and boiler plants, as well as the lighting. It also monitors the status and functions of the building's hydraulics, power, energy consumption and generators," Waldron explains. He notes that a BMS computer, using Innotech's Magellan software, allows the hotel management to monitor the systems and generates on-site and off-site alarms. "Areas with variable use are time-managed by hotel staff via the BMS, and all plant operates on optimum start to ensure maximum energy savings," he states. Waldron adds that Innotech's ATOM software, which allows detailed historic comparisons of the building's energy usage on a daily, monthly or annual basis, was recently installed on-site to monitor energy use. "The room controllers were specifically designed to meet the IHG's stringent specification to minimise energy use, but maintain high levels of comfort in the rooms. All of the room controllers are coupled to card readers, which, after a time delay, disable power to non-essential items and lighting when the room is vacant," he explains. "During unoccupied mode, the control system is set to standby mode to minimise power use unless the temperature exceeds pre-set limits and the outside air fan is cycled periodically to ensure rooms do not become stuffy when not in use." Chief engineer at InterContinental Melbourne The Rialto, Andrew Padgett says the building automation system is very easy to use. "The system enables constant monitoring and control of major plant and services, which in turn leads to significant benefits such as improved energy conservation across the board," he says. "A particular benefit is the ability to control air-conditioning in non-critical areas, such as food and beverage outlets and conference and events areas, so that when these areas are not utilised the air-conditioning is not activated," adds Padgett. He also notes that Cortrols was extremely helpful throughout the commissioning process in ironing out any bugs. "There was a strong focus on the big picture and taking into account the affect any changes had on all systems in the building," concludes Padgett. Hartley Henderson is a Victorian freelance journalist specialising in Australia's commercial property sector.